Q4: Is there a place where I can simply pick the Remote templates I need for the Rack Extensions that I own and edit it to work with my own controller ? A Propellerhead User Forum (aka PUF) thread mainly dedicated to keep an updated list of the correct Company and RE IDs to be used in the Scope lines in the .remotemap files. As an added bonus, it's also slowly turning into a Remote Template repository for the released Rack Extensions (as much as I and any other volunteers are able to keep adding templates to it). 2) In there, you should find a folder per controller brand. Open the folder for your controller brand. 3) In there, locate a .remotemap file related with the model of your controller. 5) Edit the file with a text editor (don't delete anything inside!) and go to the end of that file. Be prepared to add some text at the end. 7) Copy all the text inside the "Code" blocks in the post and paste it in the Remote Map file you're already editing. So, each of these lines say "Map my controllers knob/fader/button X to this rack extension remoteable Y"
Notice how I removed the initial "//" characters to make that line active (lines starting with // are comments) and changed the "_control_" to "Knob 1". So this kind of editing for the rest of the controls of your controller that you notice are used in the other Scopes (other mapping blocks related with the other Reason devices). Be extra careful not to remove any existing TAB character, respecting the format shown above. 9) When you're done, save that .remotemap file. Go to Edit, Preferences..., Control Surfaces and locate the controller you've been editing the map. 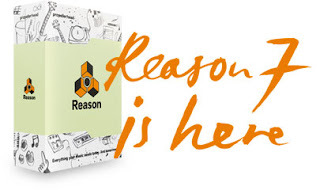 Uncheck the "Use with Reason" check mark and check it again. This will reload the recently edited map file. You can keep using this trick while keeping the map file open in the file editor. Each time you save a change, do this uncheck/check thing and it'll get re-loaded into Reason. If there's something wrong with the changes you did, Reason will "complain" with an error warning (a big red cross button) that you can press to see what's wrong. Try to fix the issue, if you understand what you did wrong, save the file and try again the reload trick. I'll soon add some snapshots and provide a more detailed explanation to this process, if needed (i.e. if anyone complains that this doesn't work or it's too confusing). Good luck and... if you do your own Remote Templates, please check the existing list and if it's a new one, post it. This should be a community effort to try and "fix" something some (fortunately not all) RE Developers keep forgetting to add to their documentation: Their Rack Extension Remote Implementation list.